Three men were hurt after a concert in Falls Church, Virginia, early Monday after a shooter opened fire as attendees left a theater. Northeast Groovers and Scarface had just ended their go-go show, "Love Peace and Unity Two," at the State Theatre when a fight broke out inside, Falls Church police said. Officers responded about 1:45 a.m.
As the crowd left the theater, someone on nearby Park Place began shooting, injuring three men and sending bullets flying through windows of an office building across the street. 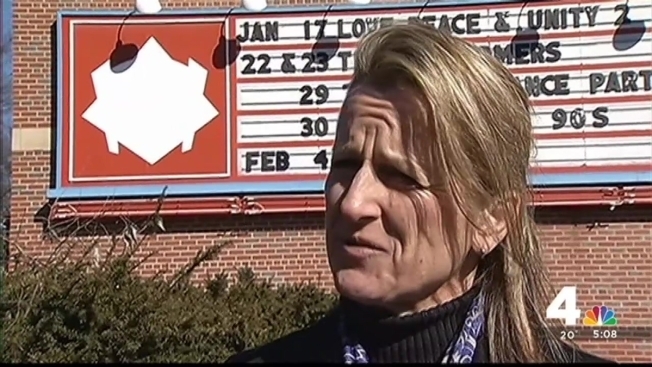 The street outside the theater was crowded when shots rang out, Falls Church Police Chief Mary Gavin said. "There were hundreds of people outside the theater, exiting the venue and in that, there were at least 15 to 20 shots fired," she said. Officers heard the shots but didn't see the gunman, Gavin said. One of the shooting victims rushed back into the theater for help and was later taken to a hospital, police said. The other two men drove themselves to a hospital in Frederick, Maryland. All three suffered non-life-threatening injuries, police said. The suspect fled the scene. Police described him as a slender man who stands 5-foot-8 and was wearing dark clothing. One of the bullets whizzed through several rooms of the offices of Polu Kai Services LLC, a defense contractor. A bullet finally lodged in the back of a wooden bookshelf. "It definitely looked like a hollow-point [bullet] to me," company president Sean Jensen said. "Of course we're scared and nervous," said Rebecca Tax, owner of the restaurant Clare and Don's Beach Shack, which is located across the street from the State theater. "We're really happy that our employees and customers were not here in the area when it happened." Anyone who witnessed the fight or shooting is asked to call police at 703-248-5053.